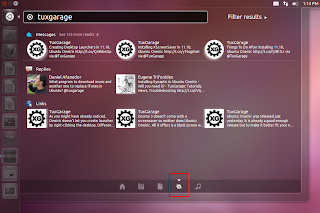 Gwibber is a microblogging client for Linux, which is installed by default in Ubuntu. It is handy in a way that it combines the social streams from different networks for you so you don't need to visit each and every one individually. So, Gwibber is already an awesome app, what's up with the Gwibber Lens for Unity? The answer is: Even more awesomeness. 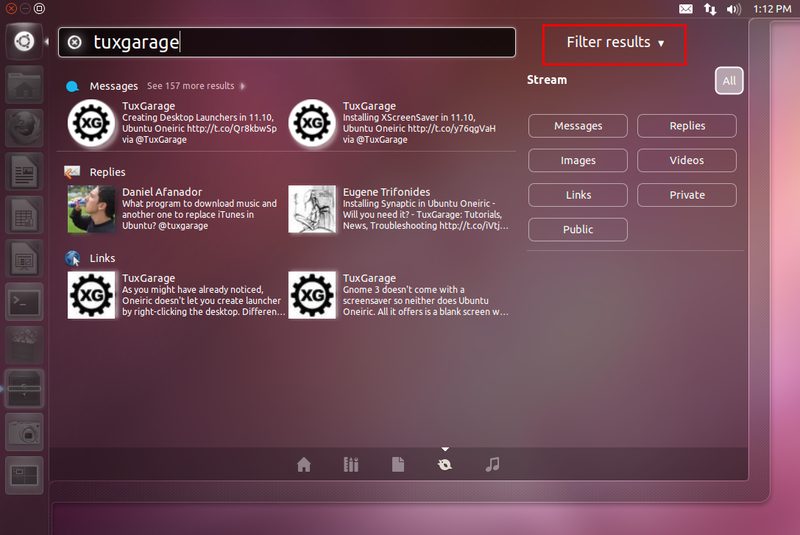 This Lens lets you find your social streams via a visually appealing interface in the Unity Dash. 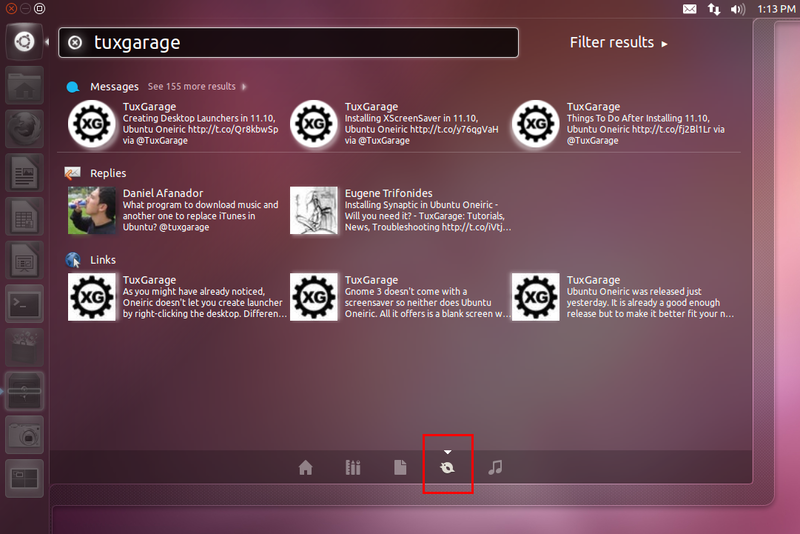 You can easily view/search for the tweets, replies, updates, etc. right from the Dash. Moreover, the integration of lenses into the main Dash also saves you from cluttering your Launcher. 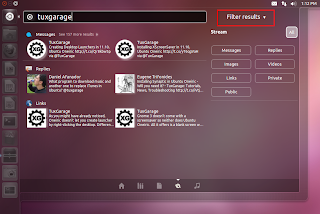 The Lens also lets you quickly filter your streams by clicking 'Filter Results' besides the search box and then applying your desired filter.